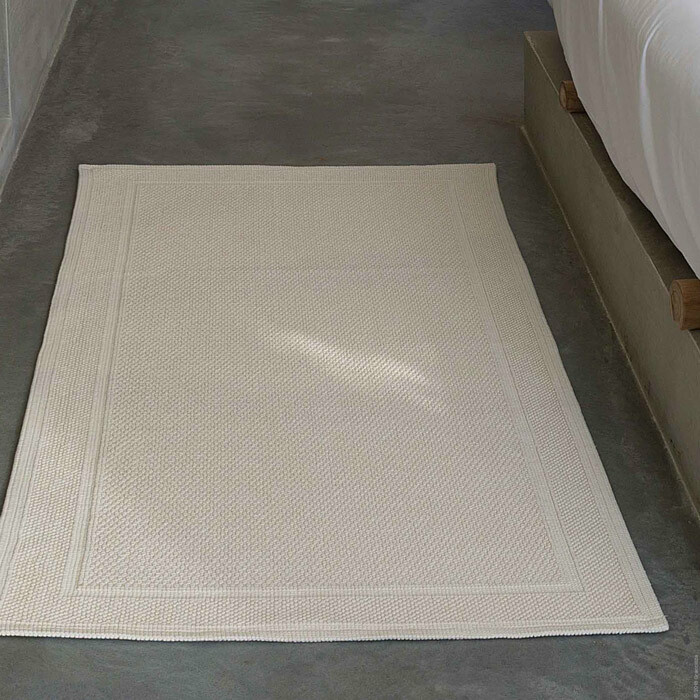 Graccioza's Bee Waffle bath runner has a simple yet sophisticated honeycomb pattern that is harmoniously pleasing to the eye and soft on the feet. The runner is made from 100% superior cotton, weighing 1700 grams per square meter. Coordinates perfectly with the Bee Waffle bath towels.